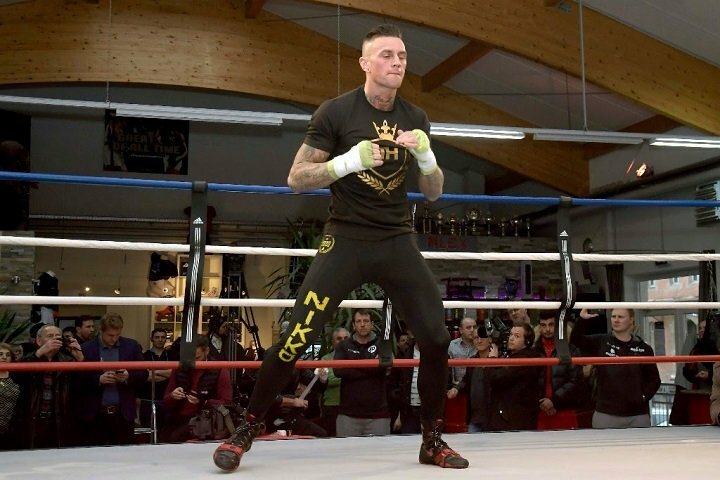 Nieky Holzken plans to gatecrash the World Boxing Super Series and secure his spot in the final when he faces the tournament’s number two seed Callum Smith on Saturday at the Arena Nürnberger Versicherung in Nuremberg, Germany. The undefeated Dutch super middleweight and former world kickboxing champion joins the quest for the Ali Trophy at the semi-final stage following the withdrawal of veteran German fighter Juergen Braehmer through illness. Having landed this dream opportunity, Holzken insists he is ready to take it “with both hands” to earn his place in the final opposite the WBA Super and newly crowned IBO World Super Middleweight Champion ‘Saint’ George Groves. While he accepts his opponent the WBC Diamond Champion might not know much about him now, ‘The Natural’ from the Netherlands says Smith “will know much more about me after I hit him for the first time on Saturday”. How does it feel to be part of the World Boxing Super Series? What are your impressions of the tournament so far? What are your thoughts on joining the tournament at this late stage? What do you consider to be your greatest strengths inside the ropes and what can we expect from you in Nuremberg on Saturday? You have competed across various disciplines, how will your skills and experience from kickboxing help you in the boxing ring? Callum Smith has said he doesn’t know much about you; will that work to your advantage? Tickets for Smith vs Holzken are available via eventim.de.